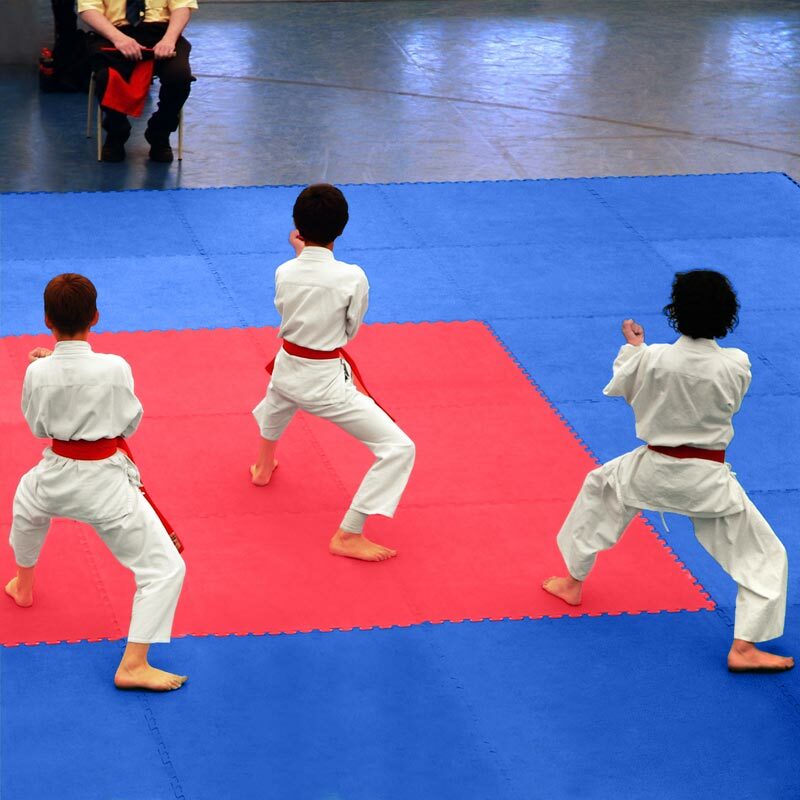 Ideally suited for MMA (Mixed Martial Arts), Karate, Ju Jitsu, Aikido, Grappling, Tae Kwon Do, Boxing, Taekwondo, Kickboxing and Judo (40mm) the Beemat ® Tatami Pro Finish Jigsaw Mat is firm, stable and high impact-absorbing, making it perfect for take-downs and falls. The lightly textured surface provides surefooted grip for stand-up and kicking drills. Each mat measures 1m x 1m and is finished with a flat edge on each side of the mat. Simply remove the edge to expose the pre-cut jigsaw for seamless joints between mats. 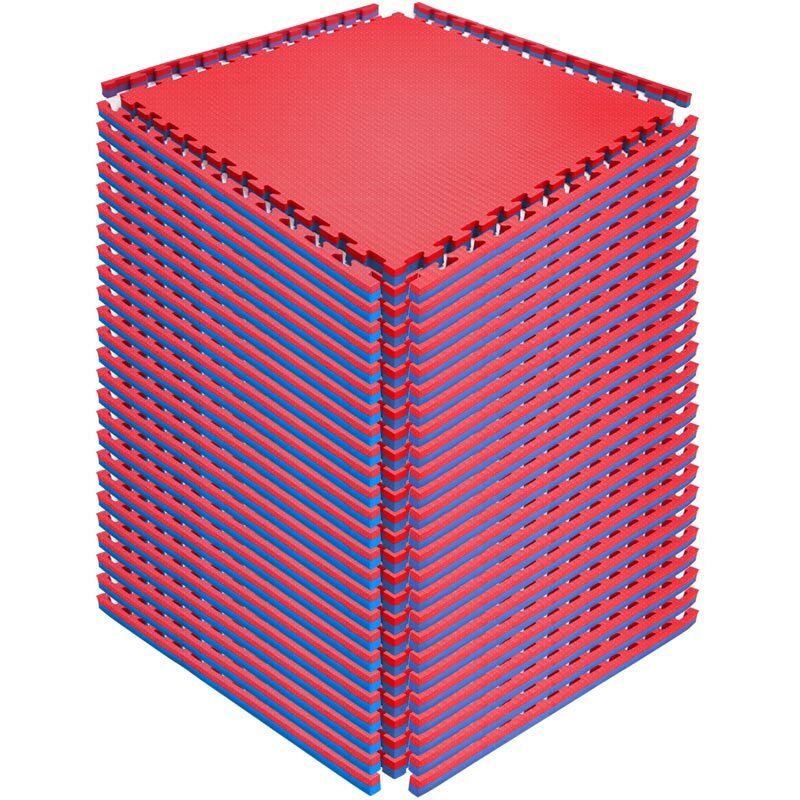 25 x Beemat Reversible Tatami Jigsaw Mats. High density EVA foam for durability. East to cut and trim for awkward areas. 40mm mat is recommended for Judo. Colour - Red and Blue. 40mm Tile Weight - 3.70kg. Conforms to Regulation (EC) No 1907/2006 - REACH. Sold as a pack of 25 mats.